Need support with employee relations? We can help you to increase employee satisfaction and productivity, while minimizing your liability. Your company’s most important (and possibly most expensive) resource is its “human” resource – your employees. 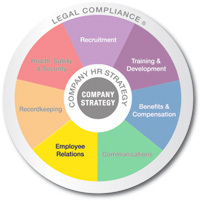 strategic HR inc. can assist you in nurturing this most precious resource of your business by ensuring that employee productivity and satisfaction aren’t derailed by poor management, unnecessary conflict, disciplinary issues, or harassment. We’ll also find proactive ways to keep your employees satisfied and engaged with your organization. Conducting a variety of supervisor training sessions for both new and experienced managers and supervisors to provide them with the education and resources to be successful.